The covert actions of the US government abroad, and their domestic ramifications, have drawn an increasing amount of attention from journalists and the general public. Yet for decades historians like Thomas Bender and Amy Kaplan have mined similar territory in an effort to debunk the rhetoric of American exceptionalism and to demonstrate how US foreign policy reshape demographics, national culture, and local politics. Friedman is not working alone. In Immigrant Acts, Lisa Lowe deconstructed Asian American history and multiculturalism, tracing immigration routes to US military interventions and arguing that while some Americans believed that multiculturalism could address the inequalities of representative democracy, often in the form of multiculturalism, all it really accomplished was aestheticizing “ethnic difference as if it could be separated from history.” Scott Kurashige and Charlotte Brooks have explored how Cold War foreign policies and geopolitical rivalries contributed to “model minority” stereotypes that enabled Asian Americans to integrate into suburban environs at faster rates than their Latino and black counterparts, but still left them mired in “perpetual foreigner” stereotypes. Friedman’s work fits well here, as Vietnamese refugees by din of their connection to US military interventions and with CIA elites, did establish communities in Jim Crow-tinged Northern Virginia. 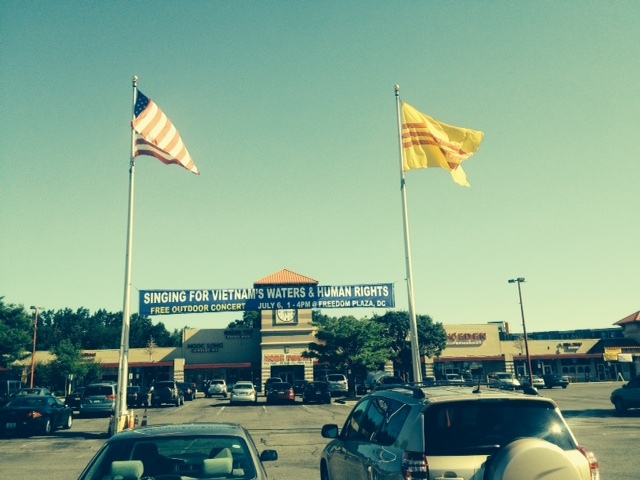 The vanquished South Vietnamese flag flies over the Eden Center shopping mall next to its American counterpart. In contrast, African Americans, outside of Alexandria, took much longer to integrate into the region due in significant part to housing discrimination. Unlike Vietnamese, Iranian, and Salvadorian refugees, for blacks, there were no transnational ties and few elite connections to exploit. In the anthology, Haunted by Empire, editor Ann Stoler and fellow historians map the “geography” of North American intimacies that formed between colonizing European and American powers and the non-white peoples that lived under late nineteenth and early twentieth century imperial rule. While the term “intimacies” encompasses various meanings, Stoler and the anthology’s contributors sought to explore “how relations of empire crash through and then recede from easy purview, sunder families, storm sequesterd spaces, and indelibly permeate –or sometimes graze with only a scarred trace – institutions and the landscapes of people’s lives.” Comparatively, the intimacies studied in Friedman’s work do not vary as widely. Though occasionally hinging on sexuality, more often intimacies depended on notions of masculine comraderie. As in Haunted by Empire, in Covert Capital Friedman argues these relations created new populations and built environments in Northern Virginia while the covert activity that brought them to US shores obscured the means by which Vietnamese, Iranian, and Salvadorians arrived. In similar fashion, Paul Kramer, in both his essay for Haunted by Empire and his book, The Blood of Government, also focuses on how intimacies informed politics and US imperial policy. The “politics of recognition” created by US officials sutured bonds between themselves and Filipino elites known as ilustrados. “Benevolent assimilation” recognized the key role of these Filipino elites in the nation’s development, while also providing justification for American occupation of the archipelago. Unsurprisingly, such formulations rested on unequal relations, which would become particularly apparent to Filipinos who migrated to American shores where they encountered racism and discrimination. This unevenness of relations comes into full view in Covert Capital as well. If Edward Said used literature to lay bare the ways in which Orientalism came to afflict Western perceptions of the Middle East and Asia, Lisa Lowe explored Asian American novels for insight into their larger meaning in US cultural politics, and Kramer mines literary works by native writers to examine their role in creating a “Filipino” identity, Friedman deploys close readings of novels by agents, refugees, and exiles to delve more deeply into the intimacies at the core of his argument. Along with juridical proceedings, government reports, Congressional testimony, and newspaper accounts, these literary memoirs, historical fictions, and in the case of CIA operatives, espionage thrillers and works of science fiction, provide the bulk of his evidence. 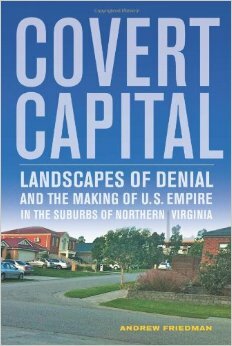 One of the innovations at the heart of Covert Capital is Friedman’s incorporation of histories of political economy, suburbanization, architecture, and intimacy into a coherent narrative that reshapes Northern Virginia into a landscape of CIA and foreign policy intrigue, transnational migration, and intimate domesticities. In this way, Covert Capital builds on Andrew Zimmerman’s Alabama in Africa.Zimmerman crafts a similar history by binding together imperialism, burgeoning schools of sociology on both sides of the Atlantic, and developing theories and concepts that would be at the center of 20th century urban planning. Zimmerman argues that during the late nineteenth and early twentieth centuries, German imperial efforts in Togo, the ethos and practices of Booker T. Washington’s Tuskegee Institute, and the Chicago School of sociology intertwined. 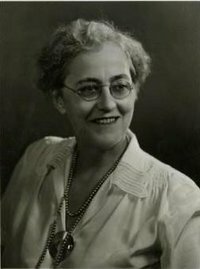 German imperialists sought out the Tuskeegee founder as means to shape policies for cotton production in Togo, while Chicago School sociologists drew on German peers like Max Weber. Washington’s ideas, as practiced in the US and Germany, also proved influential for Park, Weber, and their respective followers. Buoyed by German imperial policies, practioners of the Chicago School, notably Robert Park, embraced ideas regarding race that would establish a pervasive influence over sociology and related fields. This process established urban planning and sociological practices based on racism and subordination that would come to shape American metropolises prior to World War II. Though Friedman places far greater emphasis on historical intimacies in his study, he also illustrates how state sponsored military and covert security actions abroad reshaped metropolitan development during the height of post-World War II American suburbanization. Contextually, post-1945 suburban expansion serves as a sequel to and extension of these influential Chicago School principles. With this historiography in mind, one way to examine Covert Capital is to focus on the built environment shaped by capital, labor, and migrant flows along with the intimacies that bonded CIA agents, exiled elites and refugee populations. These forces and peoples erected suburban environs while stitching their collective presence into the fabric of Northern Virginia. While the construction of the Pentagon and CIA Headquarters in Northern Virginia did not create suburbanization in Northern Virginia, it did provide the impetus for unprecendented wide-scale expansion of the process and contributed to a boom in land speculation. Prior to the completion of its headquarters in 1963, the CIA and its agents had been spread across nearly forty buildings and temporary structures around the Washington Mall. The consolidation of operatives and others into new headquarters designed by the dominant post-World War II New York architectural firm Harrison and Abramovitz recast Northern Virginia. “Thanks to branch sewers, water trunk lines, and road improvements connected to the CIA, including the northern extension of the GW Parkway which opened in 1960,” Friedman observes, “the headquarters soon spurred what one journalist called the ‘greatest concentration of construction activity in county history.’” From 1950 to 1960, Fairfax County’s population surged, growing from 98,557 to 275,002 (87). The transnational mobility of intelligence agents and their families was mirrored in the suburban architecture constructed by CIA operatives and their loved ones. “The ephemeral newness and just-add-water domesticities frequently associated with the post-World War II suburbs, for transnational CIA families,” asserts Friedman, “became functional necessities, just at the neocolonial architecture seen as indigenous to these suburbs often played the double role of importing the comfort and style of colonial bungalows they inhabited abroad into their home environment,” (90). Interior decorations featured artifacts from Asia and Africa: sculptures, dolls, and Canton porcelain for example. Defined by lives abroad that took place in the outdoors “overlooking harbors, ensconced in a passing show of rivers and rice fields,” agents and their wives built Northern Virginia homes “steeped into the elements.” Houses turned away from roads, faced ridges and other natural features, and “used siting techniques to obscure entrances and windows.” Decks hovering over carports, double decker front porches, and living rooms and kitchens that opened onto terraces became commonplace (89). Soon after, the human geography of CIA operatives transformed these spaces into political nodes. Area saloons became sites of agent, primarily male, “sociability” that at once created intimacies between CIA operatives and physical spaces of intrigue. Agents discussed US covert imperial interests and debated how to best implement policy. Safe houses, shielded by suburban privacy, dotted the landscape. Rural farmland transformed into newly minted subdivisions, private and anynomous. 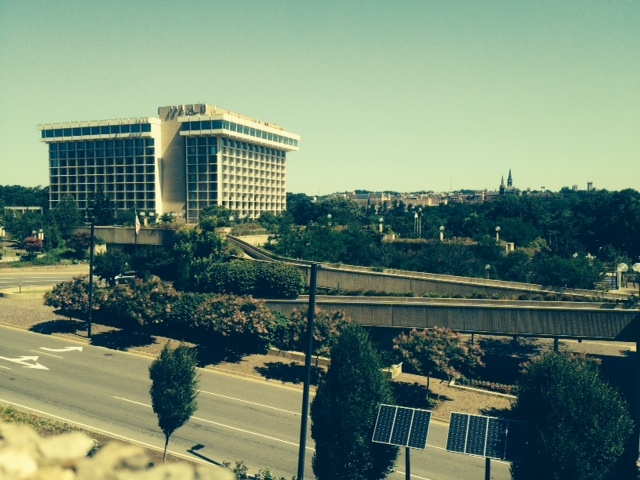 At the Arlington Key Bridge Marriot, agents held clandestine rendezvous, eating and drinking their fill all while planning various covert actions. Indeed, what Friedman labels the Dulles Corridor, twenty-five miles stretching from Washington, D.C. city limits at the Pentagon and National Airport to the Dulles International Airport, revealed and obscured the imperial connections at the heart of Northern Virginia. “Suburban built environments reassert a kind of normalcy beyond what seems identifiable as a knowable capital or a stable space,” writes Friedman, “never accruing the repetition of associations that make up the cognitive map of a bounded space like a city or a region,” (298). This nebulous suburbanization provided space and cover for covert activity. Few buildings embody clandestine but very public confidentiality like the original CIA headquarters. Harrison and Abramovitz sought to combine “openness and secrecy” in an organized and efficient manner that resembled a college campus but concealed the policies at the heart of CIA activity. Cool modernist precision and the building’s corridors reflected the fact of the organization itself: a publicly acknowledged entity but one in which its inner machinations remained hidden: “Even inside the complex, the agency continued to withdraw from its own vast parking lots and into the corridors of the structure itself,” (52). Friedman takes issue with the idea put forth by previous historians who have claimed the suburbanization of the CIA represented “a Cold War nuclear security move,” (32). Rather, Allen Dulles’s motivation had to do with reorganizing the Washington, DC, metropolitan area in more subtle fashion such that it mirrored the kind of covert action carried out by CIA operatives as politicians and government leaders marshaled the rhetoric of nuclear annihilation and Cold War brinksmanship. This “covert capital” “hidden in plain sight” more accurately embodied “US imperial management on the ground” in places like Vietnam, Iran, and Central America (32). From its location to its internal organization, CIA Headquarters retreated into secrecy even as it existed in its clandestine obviousness. “It offered,” writes Friedman, “the first and only detailed public account of how the CIA imagined secrecy as a design feature” (52). During the 1950s in the early years of the Cold War, few families encapsulate the intersection of developing Northern Virginia suburbs and intimacies like the Dulles family. Allen (CIA), John Foster (State Department) and Eleanor Dulles embedded themselves in the region. Eleanor’s McLean bungalow with its shimmering swimming pool served as a modern day political salon, “a kind of Round Table for Cold War Washington” notes Friedman, that embedded the Dulles’s place in more formal politics, but still leaned heavily on notions of intimacy (35). Martinis, pool parties, and intense games of touch football lubricated and supported this sort of male sociability and Eleanor herself remained acutely aware of how her own position as “‘hostess'” fit into the then very white, masculine world of foreign policy (37). Officials, agents, and others frolicked poolside in whimsical fashion even as their conversations discussed political upheaval and CIA backed coups abroad (38). Figures like Edward G. Lansdale, a CIA agent shuttling between Vietnam and America, sought to create a unified “single cultural space, at least virtually that would underwrite and legitimize American political goals in [Vietnam],” notes Friedman. From 1966 through 1968, Lansdale held frequent “hootenannies” at his Saigon home where the CIA officer collected Vietnamese folk songs and artifacts and entertained Henry Cabot Lodge, Henry Kissinger, John Steinbeck and Richard Nixon. Theses iconic US figures mingled with Vietnamese elites – bureaucrats, soldiers, officers, and labor leaders – drawing upon information gathered during these interactions that would influence decision making later. Lansdale’s Saigon home functioned much as Eleanor Dulles’ Spring Hill house: each operating as a means to gather intelligence over libations, male sociability, and good tidings (150-152). While these small Saigon gatherings drew little attention from the broader public, the eventual arrival of significant numbers of Vietnamese refugees in the 1970s upset racial boundaries. In their best moments, residents encouraged the new arrivals to “move quickly from refugee to immigrant,” shedding “oriental customs” for a new American identity. At their worst, virulent Virginia racists wanted them out, “‘soon there won’t be any ‘real’ Americans left in Arlington,'” argued one critic of Vietnamese immigration. One could “evacuate” a nation by crossing its borders; the iconic image of a US helicopter ferrying bedraggled South Vietnamese to eventual safety while thousands desparately waited below serves as a lasting symbol of this concept. Human bonds also could be created through “narratives of likeness, camaraderie and friendship,” but race proved an all-together different obstacle. American officials and others marshaled race in “an instant [as a] resource to biologize, essentialize, and give an aura of solidity to imperial logics of difference that could not be maintained under other modes of human sorting and relation,” (215–216). Besides, Vietnamese-United States relations had always persisted “based on conditional, racially stratified intimacies, which could evaporate or turn violent at any moment,” (215–216). 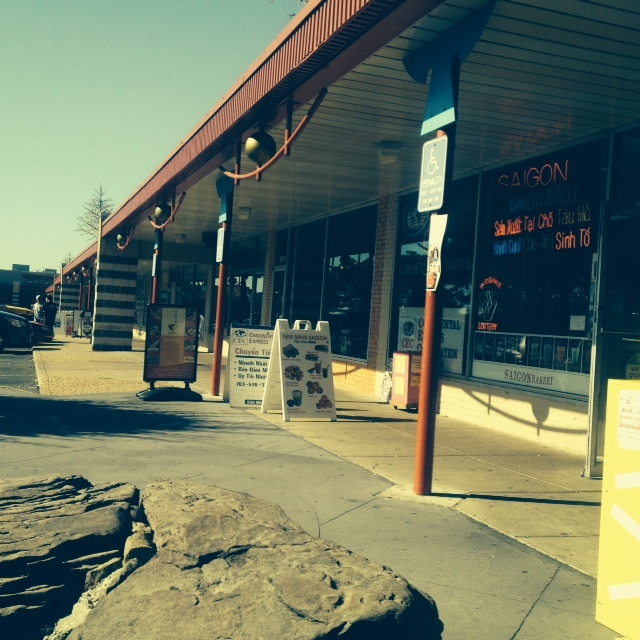 Whatever the feelings of Northern Virginians, Vietnamese immigrants carved out spaces in the region and shaped its built environment. 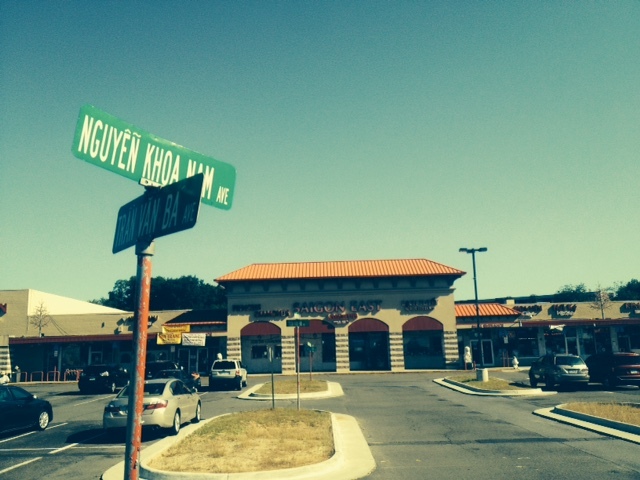 Nearly 60 percent of the Vietnamese population in the Washington, DC area settled within three miles of where Arlington, Fairfax, and Falls Church intersect—often referred to as Seven Corners (189). Soon the most visible representation of this area, Eden’s Center, emerged, serving as, “the displaced geography of Imperial Saigon,” (190). Friedman also traces the transnational connections between Iran, Central America, and Northern Virginia largely through the Iran Contra affair and particularly in the settlement of Iranian elites following the 1979 Iranian Revolution: “Northern Virginia became a kind of US imperial Tehran in exile in the mid-eighties” (272). If CIA agents of the 1950s and 60s preferred modernism, Reagan era developers erected the “monstrous speculative fortresses” of the McMansion era. Office parks, hotels, and 1980s’ sprawl defined the region’s new built environment. Arriving with the ascension of the “Edge City,” Iranian exiles settled into Northern Virginia amid the “era’s disposable income and fondness for display,” embracing a “curious longing for permanence—the allure of starting over in high ticket family farm homesteads that looked ‘American’ and ‘historical’, despite perhaps being neither” (247). Iranian enclaves emerged in places like Falls Church as exiles benefitted from the dependent intimacies established through US covert operations. Bahman Batmanghelidj, for example, referred to as Batman, found a quick and lucrative foothold in development circles. Having been a central developer and United States ally in Iran, Batman was soon constructing Dulles and Sterling, Virginia, shopping centers, suburban subdivisions, and “major green field office complexes.” As a result, Friedman and others credit Batman with “singlehandedly” reshaping sections of western Fairfax (271). Famously, Shah Reza Pahlavi also ended up in Northern Virginia. CIA agents promised the Shah that through their help, he could avoid immigration officials at Dulles Airport and settle easily in the surrounding suburbs. Crown Prince Reza Pahlavi, son of the exiled Iranian leader, also benefitted greatly from suburban development by building and investing in numerous projects, notably Tyson’s Corner’s Monticello. Monticello served as a cornerstone of Joel Garreau’s famous Edge City book but also functioned as a “a royalist exile subdivision” where “geopolitical migrants” settled into their new American lives thereby finding a foothold in US life (275). The built environment impacted these two groups of exiles very differently. Though Edge City suburbia rendered them both exposed and invisible, many Iranians engaged in its construction and development at the management level and resided in housing that symbolized Reagan era suburban extravagance. In contrast, the second largest Salvadorian population in the US endured poor public transit systems and low-income housing that exposed many Central American refugees physically, economically and politically while their labor in the back rooms of office parks, restaurants, and kitchens and nurseries of the well off left them an unintelligible presence to the broader public. Many moved into housing once occupied by Vietnamese predecessors in Bailey’s Crossroads, Seven Corners, and Falls Church. Over 35 percent of the DC metropolitan region’s Salvadorian population could be found in South Arlington and Annandale. Later many migrated to Alexandria, Woodbridge, and Herndon, near Reston. Finding employment in the Northern Virginia suburbs, many of these refugees followed the path of Edge City development. In Alexandria, the Salvadorians renamed a neighborhood “Chirilagua,” after a village in San Miguel. As a result, the Salvadorian diaspora soon recognized many Northern Virginia communities. Unlike Iranians or the Vietnamese earlier, Central American migrants orbited Northern Virginia in a “’zone of illegality’” that papered over the covert actions that had brought them stateside. “Through this kind of produced ‘nonexistence,’” laments Friedman, “the clandestine nature of the covert actions directed against peasants in El Salvador were reproduced as a secondary form of violence directed toward the legal erasure of Salvadoran migrants in Northern Virginia” (266). By 2008, roughly 134,000 Salvadorians had settled in the Washington DC metropolitan area, much of this transnational migration due to flight from El Salvador in the 1980s. Compare this reality with that of Iranian exiles. Though subject to discrimination, Iranians enjoyed the support of key officials. US leaders like General Ellis Williamson argued Iranians were hardly “’illegal entrants’” but rather “’culturally refined’” people that Americans should be “’just happy to have. . .in our homes and in our churches and in our communities’” (288). The Edge City provided Iranians with lucrative development deals while relegating Central Americans to a marginalized existence. Indeed, the Iranian diaspora had come from a more uniform class background, often one of relative privilege. The Salvadorian diaspora, however, consisted of a more complex amalgamation. “Among these migrants were guerrillas and death squad soldiers, leftists and rightists, torturers and people who had been tortured,” observes Friedman (264). Impressively, Friedman not only adds to our understanding of transnational forces and the role intimacies played in foreign policy decisions, but also to our understanding of race and domesticity. Friedman’s observations recall the recent work of Mark Brilliant, whose study of race in post–World War II California concludes that while minorities all encountered racism and discrimination, each group experienced it differently and to varying degrees politically, economically, and socially. The diverse lived experiences of the Vietnamese, Iranian, and Central American new arrivals, culled from government reports, Congressional testimonies, newspaper accounts, state and federal court proceedings, and memoirs, provide greater depth to Brilliant’s observations in a different regional context. Friedman’s work also relates to that of Southern California and New Right scholar Lisa McGirr. In Suburban Warriors, McGirr demonstrates how housewives in Orange County, California, helped to promote and refine New Right ideology in the 1950s and 1960s. Through correspondences and sometimes literary works byCIA wives, Friedman reveals how tropes of suburban domesticity undergirded the organization’s covert actions. The CIA’s gendered culture clearly favored men, and left female agents to toil away in subordinate positions. For example, Alice Sheldon, CIA wife, analyst, and science fiction novelist working under the penname James T. Tipptree Jr, provides an emblematic example of this relationship Despite being clearly limited by the organization’s sexism, Sheldon performed the dual role of low level CIA operative and wife to advancing agent Huntington Sheldon. Alice left no doubt about her opinions regarding the latter position; being Sheldon’s wife amounted to a prison sentence. Yet, this second job gave cover to her husband, a relationship replicated by agents and their wives throughout the organization. “Langley’s gendered intimacies were its arsenal,” writes Friedman, “the home as a space of planning for and retreat from violence, the street that kept secrets, the estranged public sphere” (112). In this way, heterosexual domesticities hid, supported, and justified CIA policies. For Friedman, Sheldon’s science fiction novels and penname represent not only her suppressed homosexuality, erased by CIA homophobia, but also serve as evidence of “the spatial and psychic effects of the stretched out cartography of the lands wrought in Northern Virginia by the Langely Complex” (117). Critics might suggest, Friedman’s dependency on literary works focuses too tightly on idiosyncratic or anecdotal evidence or represent the voices of a privileged few. Others might argue that Friedman leans too heavily on theory, literary and otherwise, in some of his conclusions. After all, Friedman makes little mention of the various domestic housing policies—at all levels of government—that facilitated de facto segregation even after Supreme Court rulings declared the de jure variant unconstitutional. For example, this writer wondered how the confluence of the 1965 Hart Celler Immigration Act and 1968’s Fair Housing legislation impacted Northern Virginia environs. Undoubtedly, these more prosaic aspects of suburbanization and immigration played a role in Northern Virginia’s development much as they did in places like California. In other places, such as when he discusses the region’s transportation infractructure and its effect on refugees, a few examples, even if anectdotal would more brightly illuminate his larger argument. If one drives through the region today, he or she would be struck simultaneously by clear evidence of planning, particularly with it’s faux Americana town centers as in Reston and, in contrast, haphazard transportation networks. Stretches of overcrowded and accident prone two lane highway as embodied by I-66 or the confusing service roads that run parallel to its throughfares in places like Annandale, leave drivers vulnerable to collisions. Granted the DC metro provides significant levels of public transit in the region, however, it remains somewhat anemic when compared to metropolises like Chicago or New York. Moreover, for much of the period examined in the book, the metro did not exist; its first track, the Red Line running between North Farraguat and Rhode Island Avenue, only opened for commuters in 1976. When Friedman discusses the region’s “hazardous transit systems” and their impact on the Salvadorian diaspora, clearer examples like those mentioned would strengthen his argument. Though worth discussion, such critiques fail to undermine the book’s larger arguments. Indeed, Covert Capital demonstrates the fascinating and sometimes bewildering effects of transnational forces on American domestic life and in doing so expands our knowledge of suburbanization, gender, and race. Friedman avoids binaries when discussing race and successfully illustrates how each group of refugees adapted to the region. Remnants of Jim Crow racism impacted each, but differently and unevenly. The critical role of CIA wives as both analysts and cover for their husband’s covert activity reframes how historians will evaluate the organization’s policies and programs in the future. New scholarship has placed housewives and women at the forefront of such disparate social movements as the New Right, civil rights, Black Power and Chicanismo. Historians like Amy Kaplan and Donna Alvah have examined how gender impacted late nineteenth century imperial adventures in the American West and Pacific Rim (Kaplan), and Cold War interventionism abroad (Alvah); so too does Friedman force us to reconsider gender as an aspect of mid to late twentieth century covert policy. In the end, Covert Capital is a book that will remain part of the transnational historical canon twenty years from now and will encourage debate across the discipline. The effect of the hidden can be as significant and transformative as that of the known. Mark Brilliant. The Color of America Has Changed: How Racial Diversity Shaped Civil Rights Reform in California, 1941 – 1978. New York: Oxford University Press, 2012. Charlotte Brooks. Alien Neighbors, Foreign Friends: Asian Americans, Housing, and the Transformation of Urban California. Chicago: University of Chicago Press, 2009. Joel Garreau. Edge City: Life on the New Frontier. New York: Random House, 1991. Amy Kaplan. The Anarchy of Empire in the Making of U.S. Culture. Cambridge, MA: Harvard University Press, 2005. Paul Kramer. The Blood of Government: Race, Empire, the United States, and the Philippines. Chapel Hill, NC: University of North Carolina Press, 2006. Scott Kurashige,. The Shifting Grounds of Race: Black and Japanese Americans in the Making of Multiethnic Los Angeles. Princeton, NJ: Princeton University Press, 2008. Lisa Lowe,. Immigrant Acts: On Asian American Cultural Politics. Durham, NC: Duke University Press, 1997. Lisa McGirr. Suburban Warriors: The Origins of the New Right. Princeton, NJ: Princeton University Press, 2001. Edward Said. Culture and Imperialism. New York: Vintage Books, 1993. ———. Orientalism. New York: Vintage Books, 1978. Andrew Zimmerman. Alabama in Africa: Booker T. Washington, the German Empire, and the Globalization of the New South. Princeton, NJ: Princeton University Press, 2010. ———, Haunted by Empire: Geographies of Intimacy in North American History. Ed. Ann Laura Stoler. Durham, NC: Duke University Press, 2009. Thomas Bender, A Nation Among Nations: America’s Place in World History, (New York: FSG/Hill and Wang, 2006); Amy Kaplan, The Anarchy of Empire in the Making of U.S. Culture, (Cambridge, MA: Harvard University Press, 2005). Lisa Lowe, Immigrant Acts: On Asian American Cultural Politics, (Durham, NC: Duke University Press, 1996), 9. Charlotte Brooks, Alien Neighbors, Foreign Friends: Asian Americans, Housing, and the Transformation of Urban California, (Chicago: University of Chicago Press, 2009); Scott Kurashige, The Shifting Grounds of Race: Black and Japanese Americansin the Making of Multicultural Los Angeles, ( Princeton, NJ: Princeton University Press, 2010). Paul Kramer, The Blood of Government: Race, Empire, and the United States and the Philippines, (Chapel Hill, NC: University of North Carolina Press, 2006); see also, Paul Kramer, “The Darkness That Enters the Home: The Poiltics of Prostitution during the Philipine American War,” in Haunted by Empire: Geographies of Intimacy in North American History, Ed. Ann Laura Stoler, (Durham, NC: Duke University Press, 2006), 366 – 404. Edward Said, Culture and Imperialism, (New York: Random House, 1993); Lowe, Immigrant Acts; Kramer, The Blood of Government. Andrew Zimmerman, Alabama in Africa: Booker T. Washington, the German Empire, the Globalization of the New South, (Princeton, NJ: Princeton University Press, 2010). Mark Brilliant, The Color of America Has Changed: How Racial Diversity Shaped Civil Rights Reform in California, 1941 – 1978, (New York: Oxford University Press, 2012). Lisa McGirr, Suburban Warriors: The Origins of the New American Right, (Princeton, NJ: Princeton University Press, 2001). Tamara El Waylly, “Today in D.C. History: Metro Red Line Opens First Segment,” Washington City Paper, March 28, 2011, accessed August 28, 2014, http://www.washingtoncitypaper.com/blogs/citydesk/2011/03/28/today-in-d-c-history-metro-red-line-opens-first-segment/ ; see also Zachary Schrag, The Great Society Subway: A History of the Washington Metro, (Baltimore: Johns Hopkins University Press, 2006). McGirr, Suburban Warriors; Sisters in the Struggle: African American Women in the Civil Rights and Black Power Movement, Eds. Bettye Collier-Thomas, V.P. Franklin, (NY: NYU Press, 2001); Lorena Oropeza, Raza Si! Guerra No! : Chicano Protest and Patriotism During the Vienam War Era, (Los Angeles: University of California Press, 2005); Kaplan, The Anarchy of Empire in the Making of U.S. Culture,; Donna Alvah, Unofficial Ambassadors: American Military Families Overseas and the Cold War, 1946 – 1965, (NY: NYU Press, 2007). Prev Do Wes Anderson Movies Actually Make Money? Reblogged this on RhythmPharm . | . Listen differently ™. Intriguing topic. I’ve observed this phenomena first hand with Filipino and Chinese Americans. Thanks for checking it out! I assume in reference to Filipinos at least you’ve read Kramer’s The Blood of Government? Really interesting take on the U.S.’s occupation of the Philippines. Keep on Keepin’ on.